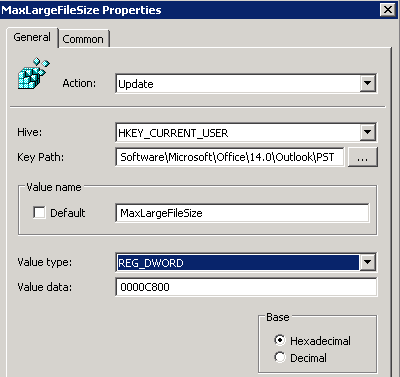 By default, the maximum file size of .pst and .ost is 50 GB in Outlook 2010, but we can modify this setting by the following registry entries. 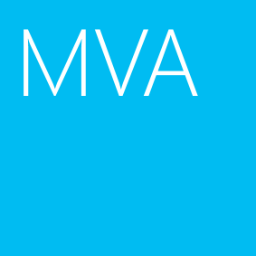 Assuming that Windows Server 2008 or above is the domain controller in the production environment. 1. At the domain controller, log in as Domain Administrator. 3. 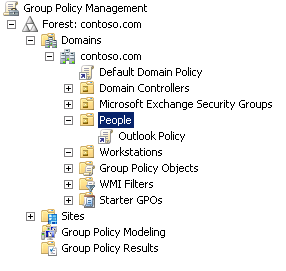 Expand "Forest > Domains > <Domain Name> ", right-click "People", select "Create a GPO in this domain, and Link it here". 4. Under "Name", type "Outlook Policy". 6. ﻿Right-click "Outlook Policy", select "Edit". 7. Expand "User Configuration > Preferences > Windows Settings", right-click "Registry", select "New > Registry Item". 9. Next to "Key Path", type "Software\Microsoft\Office\14.0\Outlook\PST". 10. Next to "Value name", type "MaxLargeFileSize". 11. Next to "Value type", select "REG_DWORD". 12. Next to "Value data", type the value you want. As a result, the policy is applied to all users. Remark: For non-domain environment, you have to configure the setting by "Registry Editor". Remark: You may have to create the registry values if it do not exist in "Registry Editor".